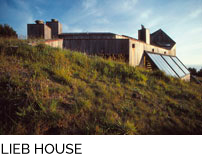 The 2 ½ acre wooded site slopes down the west side of Buckingham Point to 30 ft. high basalt cliffs where there are wonderful views to the lake, southwest views to Mt. 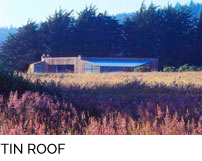 Konocti, and northwest views across the lake towards Rodman Slough. 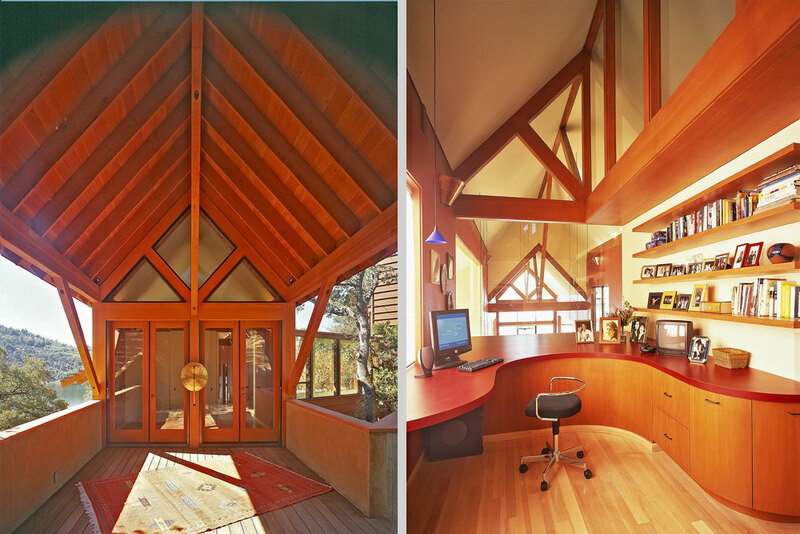 Integrating the 3300 SF house and 950 SF garage design with the woodland while capturing the various views were primary challenges. 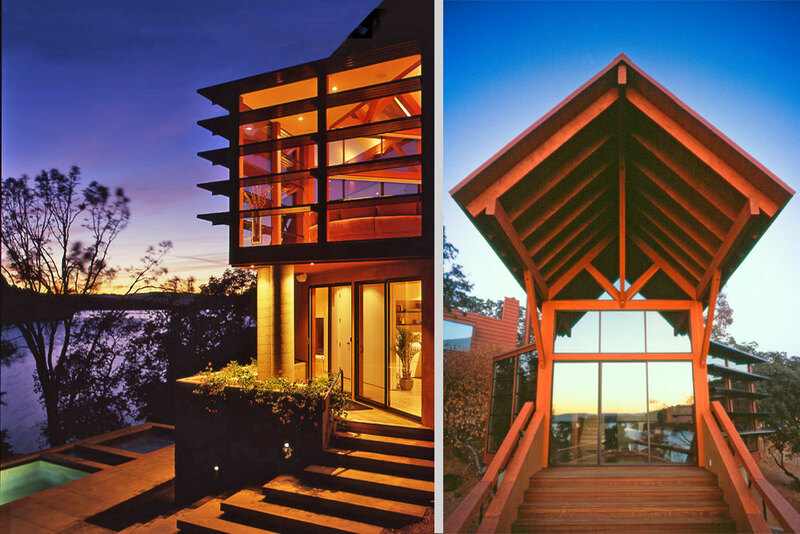 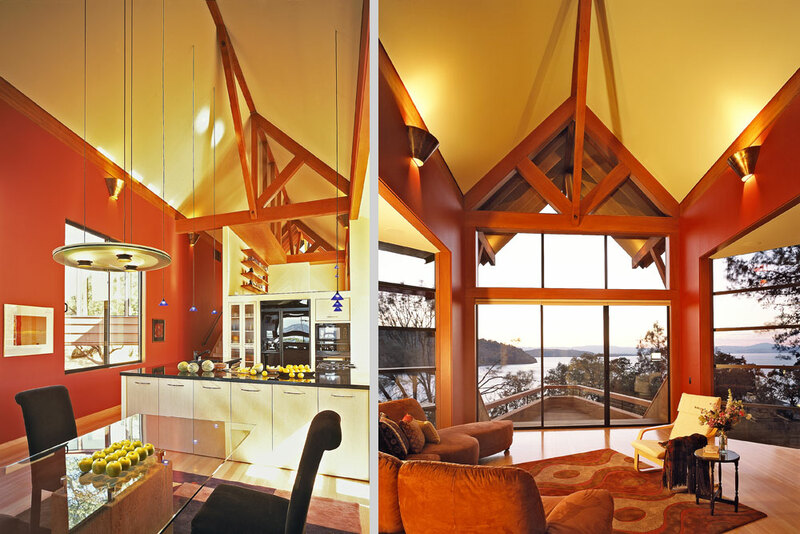 Although the standard design approach of setting the house broadside to the shoreline gives maximum lake view to the greatest number of rooms, it provides only token experience of the oak woodland that borders the lake. 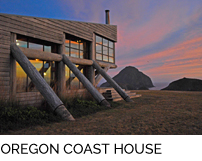 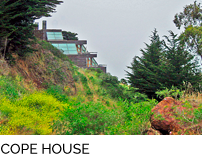 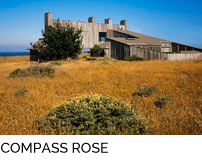 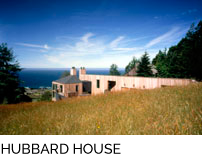 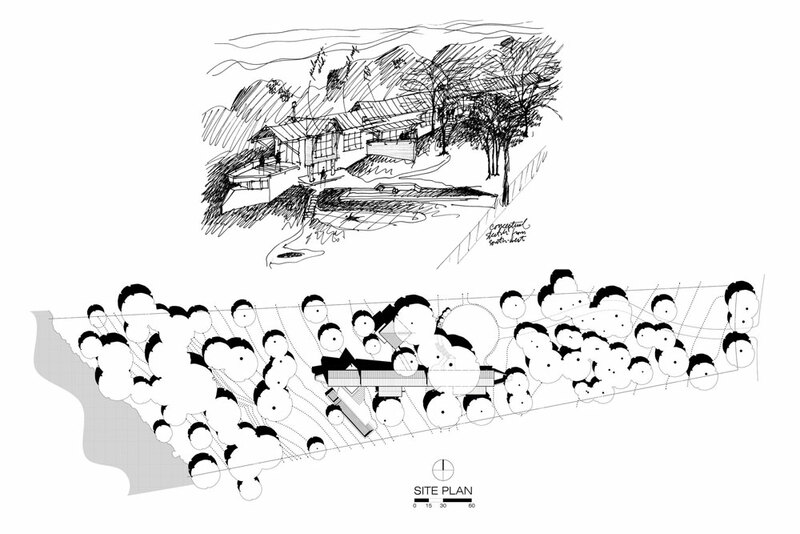 Accordingly, the house is elongated perpendicular to the shoreline, and the resulting parti is a central spine stepping down the slope with various appendages expanding the spine laterally as space and orientation requirements dictate. 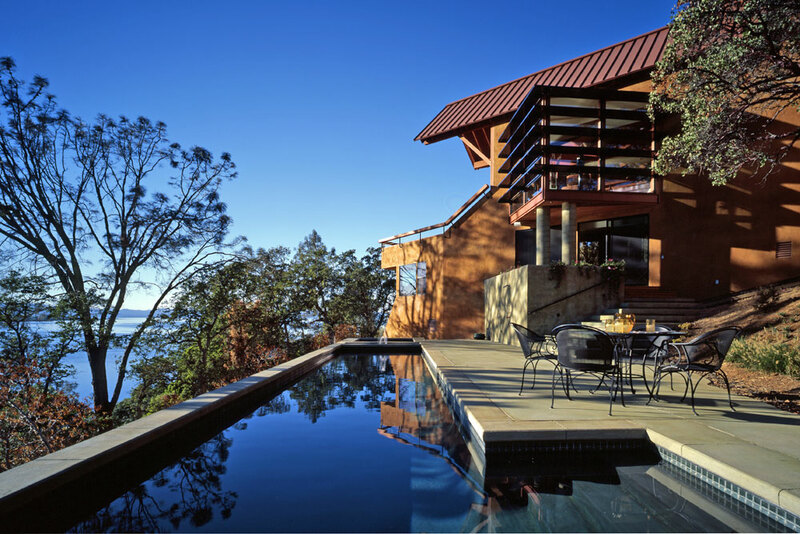 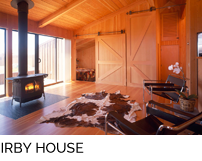 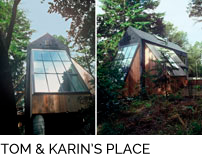 This results in minimal removal of major trees, provides southerly sun exposure for most of the rooms, and allows a lap pool to be well placed for both sun and view. 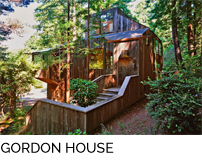 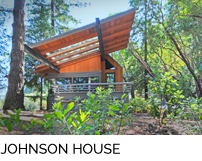 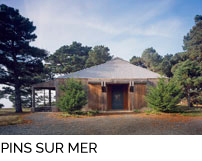 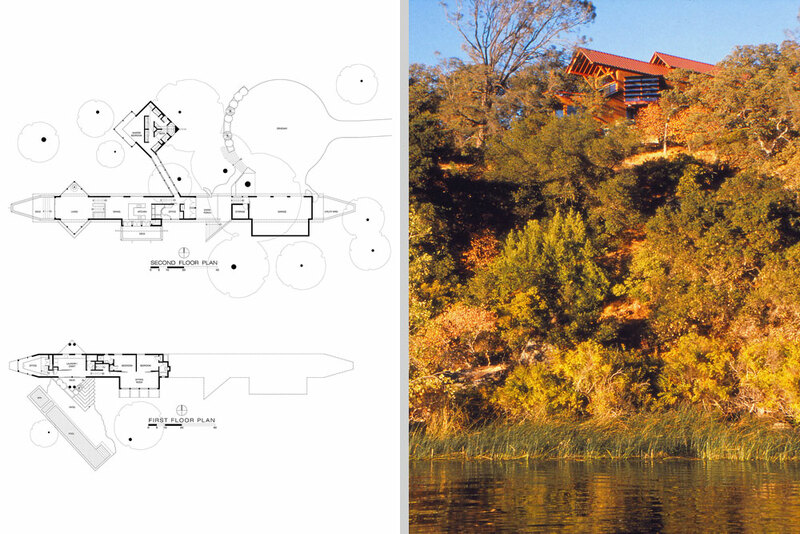 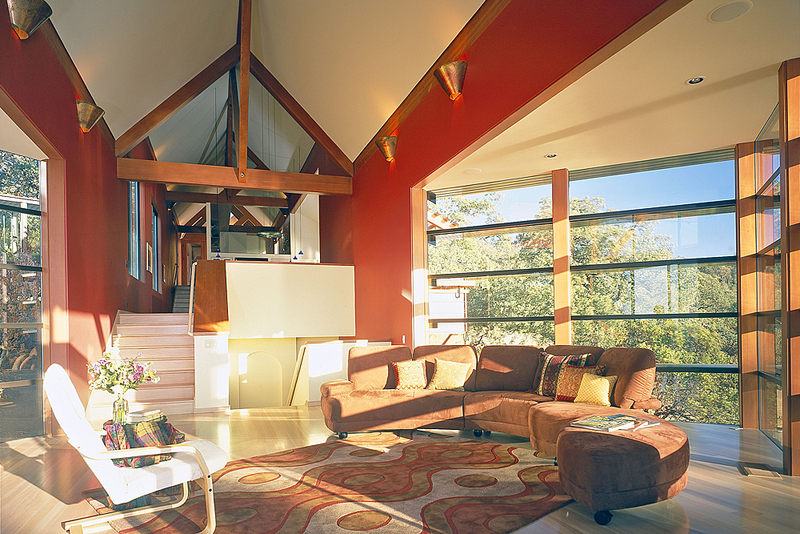 As one enters the house and moves down through the central spine towards the lake the ground outside is dropping away at an even faster rate and serves as a graceful way to achieve elevation above the Toyon and Manzanita undergrowth without climbing a standard two story stairway. 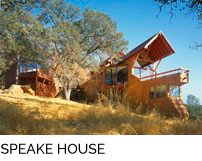 The end result is that upon arriving at the living room with its prow-like deck, one is literally soaring above the cliffs just beyond. 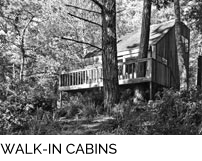 The most notable appendage is the master bedroom which is set in a small clearing off to the north and reached via an enclosed bridge. 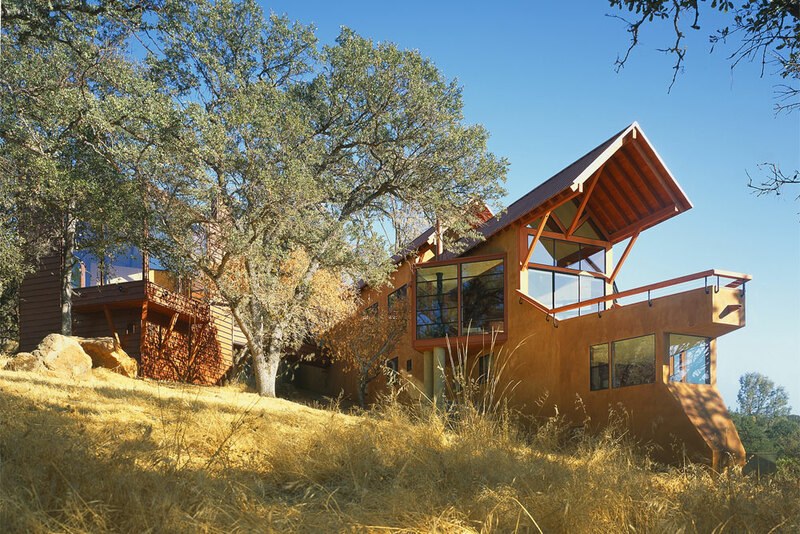 The stepping gable roofs of the central spine are carried on ridge beams supported by a series of center post trusses and lateral steel moment frames. 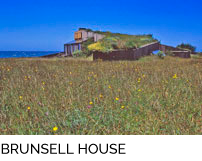 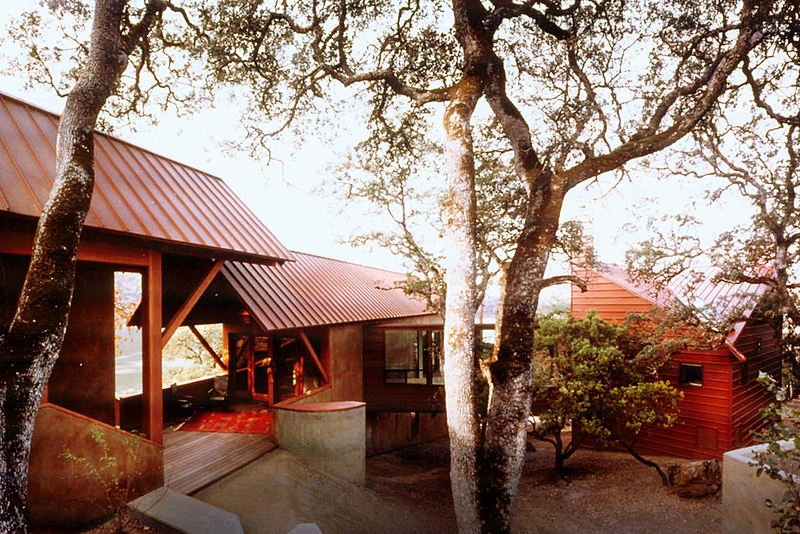 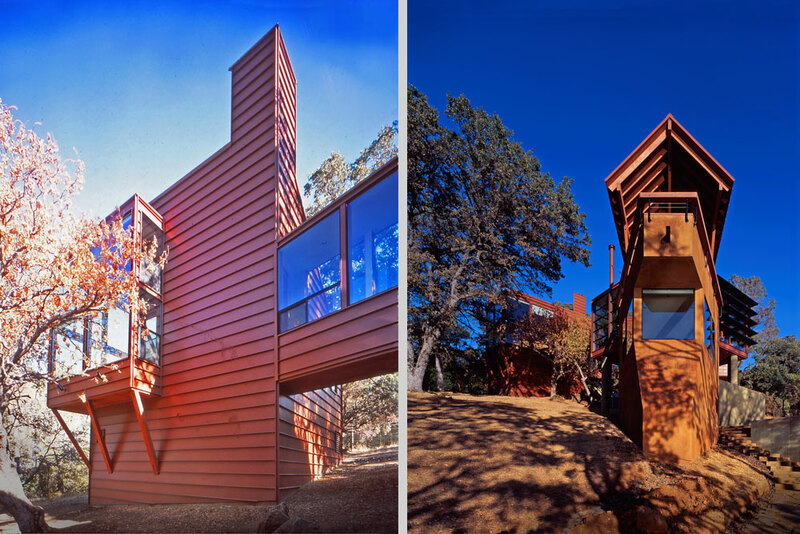 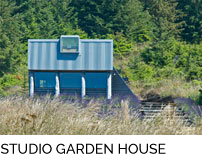 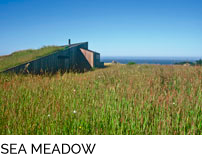 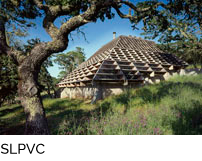 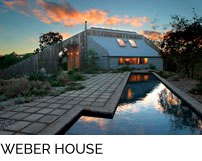 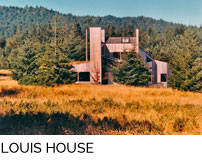 All roofs and appendage walls are reddish-brown standing seam metal accented against spine walls of earth colored plaster, hues harmonious with both the local earth colors and the summer landscape.